If your home has beautiful surroundings and you are not taking advantage of them, then we highly recommend you consider doing so. One of the ways to do so is with sliding doors. Read on to find out more about these doors and their many advantages. Then reach out to Charles Window if you would like a free in-home consultation. If you want a flow from the indoors to the outdoors that is entirely seamless, then a sliding door is a great choice. Whether you’re thinking of a patio or a balcony, there are many benefits to a sliding glass door that can let you get inside and outside without hassle. It doesn’t matter if the door is open or if it is closed: A glass sliding door lets you take in the view. If you want to truly maximize the view, then ask us about larger glass panes that give you the full view at all times. If you are dealing with a smaller space then sliding doors are a must. Why? Because they do not take up the same amount of room as a typical door. For example, a conventional door swings in, which means you must have the space it swings clear whether it’s open or not. A sliding door allows you to utilize the space around it. Is there anything better than natural light? It’s been proven to boost moods, it’s important for helping to heat your home in cooler months, and it’s just beautiful. 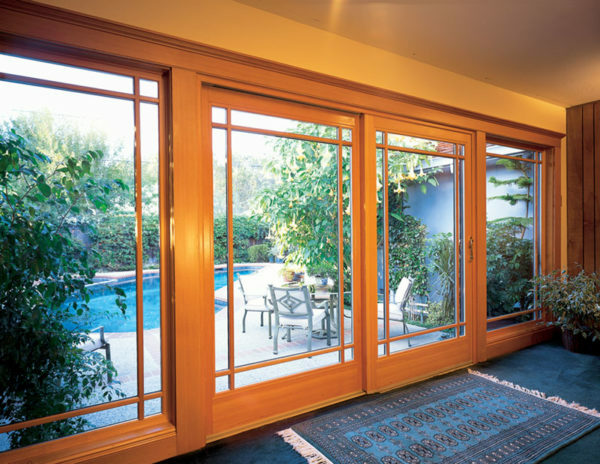 A sliding door is essentially a huge window that lets in a ton of light to your home. There is very little maintenance required with a sliding glass door. You will need to vacuum out the track and clean the screen and glass but that’s about it. You will also find that sliding doors are easier to operate than any other door, which make them a great choice for those with mobility issues. Do you have questions about these or other door options? Please contact Charles Window today to get the answers you need. We are happy to come to you for a free consultation so you’ll know exactly what your options are.